If you’re reading this, I’m guessing you and I probably have a whole lot in common. Is school a living hell for you like it was for me? Do you feel like no matter what you do or how hard you try, you just never fit in? Do the popular kids tease and laugh at you? Do you dread riding the school bus because you know the moment you step inside, someone is going to blow a spitball in your hair, or call you mean names before you even sit down? Do you find yourself wanting the cool kids to leave you alone, yet secretly longing for their friendship and acceptance? I know exactly what you’re going through. From 5th grade through senior year of high school, I was tormented at school too, just for being different. I tried really hard to fit in, but I couldn’t do the things you have to do to be considered cool. I didn’t want to play nasty jokes on my teachers, smoke in the bathroom, or make fun of the chubby girl with glasses. And if I saw someone being picked on, I stood up for them. Great qualities to have when you’re an adult. Not so great when you’re a kid. I was so lonely when I was in school, every morning I would pray to God to make me sick so that I could be absent. 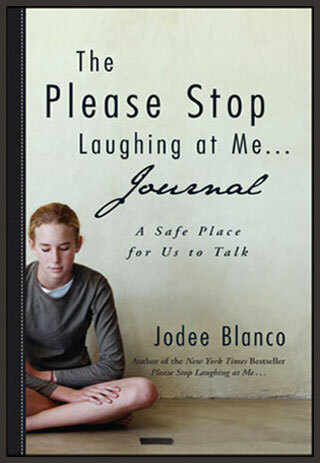 In my memoir “Please Stop Laughing at Me”…, I share the details of what I went through and how I survived. If you’d like to read more about the book, you can download a chapter here. 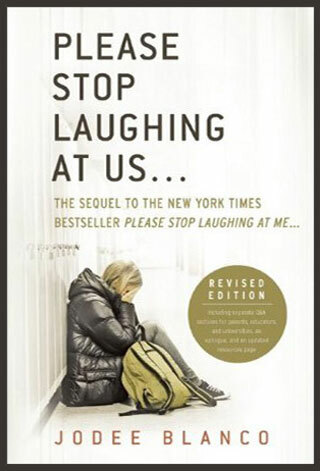 Now, let’s talk about your current situation at school and what we can do about it. If you’re a victim of bullying, remember, there’s nothing wrong with you. It’s everything that’s right about you that makes you stand out from the crowd. Don’t change for anyone. It is those who put you down and exclude you who need to change. Never ignore the bully and walk away. You must look the bully in the eye without any emotion or fear, command him to stop, and then stare him down just long enough to let him know you mean business. Next, begin walking away, and then turn briefly back toward him and say “See you later.” The first few times you employ this method the bully will probably get meaner because you’re taking away his power. After a while, the bully will likely begin to see you in a new light. But even if it doesn’t work, at least you know that you defended your dignity and your pride. Remember, standing up for yourself nonviolently in the moment abuse occurs is your human right. Seeking vengeance later on is the mistake. Don’t suffer in silence. Confide in an adult you trust that you’re being bullied and need help. School doesn’t have to be your whole world even though it may sometimes feel that way. Seek an alternative social outlet through the local park district, community center, or public library. Call or visit these organizations online and research what youth activities they have available. It’s important, however, that you reach out to organizations that are one town away from where you attend school, because the purpose is for you to make friends with kids outside of your school network who will have no preconceptions about you. If you think you may be a bully or an Elite Tormentor, recognize that it’s not just joking around. You may be damaging someone for life. Think about that the next time you abuse or shun another classmate, or worse, treat her as if she’s invisible. Always remember that bullying isn’t just the mean things you do, it’s all the nice things you never do. Letting someone walk to class alone or sit by themselves at lunch, excluding the same person repeatedly from parties and other social activities, choosing the same student last whenever you divide into teams in class or gym, are the worst forms of bullying. It makes the victim say to himself, “There must be something wrong with me,” and he may believe it the rest of his life. If you see a classmate is struggling to fit in or being maligned, tell a teacher or counselor. It could change this person’s life. Tattling hurts, telling helps. Bullying may feel like an act of hatred but it’s not. If someone is bullying you, no matter what form of bullying it may be, it’s not because that person doesn’t like you. It’s because something else in that person’s life is out of control and causing them great pain, something no one may know about, and they’re bringing all that fear, anger and negativity to school. Bullying is actually a cry for help. That’s why it’s so critical that you tell on the bully. Tattling hurts because it’s just about getting revenge, getting that bully into trouble, and that’s not cool. Telling is something else entirely. 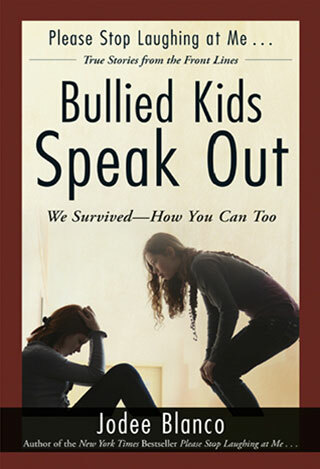 Telling is when you tell on a bully because you want everyone to receive the help they need–the bully who’s struggling with somethign painful in his or her life, and whomever that bully is hurting whether it’s you or someone else. Telling not only saves the lives of bullying victims, it can also save the life of a bully. Don’t be afraid of professional help. If your parents want you to see a psychologist or counselor, ask if they would attend the first few sessions with you-explain that it will make you more comfortable because you’ll feel like you’re dealing with the circumstance as a family and not “you as the problem.” One tip-be honest with everyone, including yourself, and you will find the experience very worthwhile. Pay attention to other classmates who may be experiencing some of the same loneliness and rejection you are and reach out to them in friendship. You could end up forging bonds that will last a lifetime. And remember, you are never, ever alone. I’m here. I care. And I survived.